My blues are gone, and I really feel operational. I've been looking at many Sargent watercolors this week, get the passion growing again. 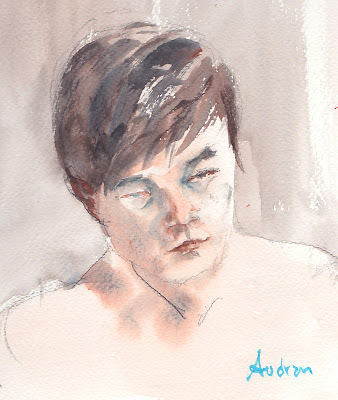 The 15min portrait doesnt bear any likeness to Kim, sorry bro, but at least facial feature are almost correctly placed. I've done a lot of Kimon, during this session, contour and gesture, not much to show.